I know it's only Monday, but it's definitely time for a little Wednesday action. You may recall (especially if you follow us on Facebook) that a few months ago I had something of a meltdown over the Kurt Geiger Nelly sandals. 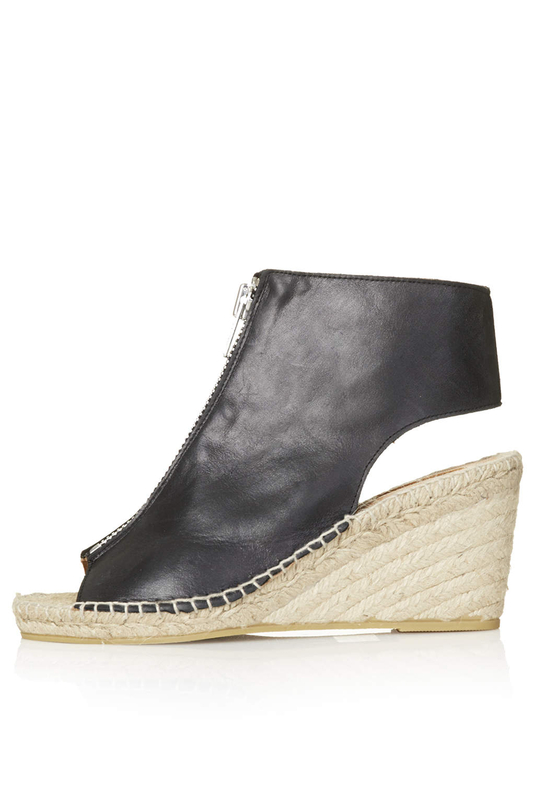 I loved them but didn't feel comfortable paying £100 for a pair of raffia espadrilles. But not to worry as TopShop have come up trumps just in time for the heatwave with these little beauties, with a much more appropriate £52 price tag. I love everything about these sandals. The chunky almost ankle boot ankle strap. The chunky bright silver zip. They are even at the exact same heel height too. Plus they just look amazing when worn (see below). 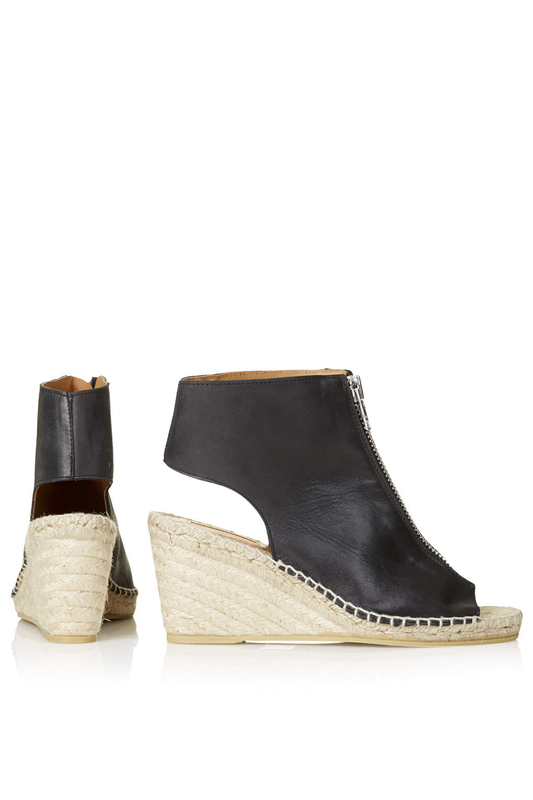 For my money, these are the SS14 8cm wedges of my dreams, and are a must purchase shoe. Be quick though as I expect these to sell out in no time.